DESCRIPTION: GREAT OPPORTUNITY TO BUY INCOME PROPERTY IN LOS ANGELES. (4) 1 BEDROOM, 1 BATH UNITS ALL CONSIST OF A DINING AREA, LIVING ROOM AND KITCHEN. SEPARATE ELECTRIC METERS AND GAS METERS FOR EACH UNIT. 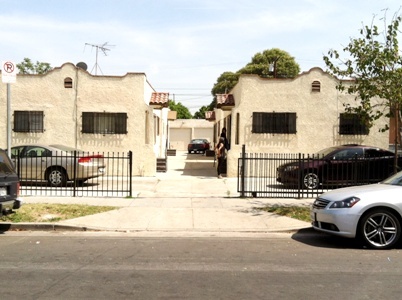 PROPERTY CURRENTLY HAS A NOTICE AND ORDER TO COMPLY FILED AGAINST IT BY LOS ANGELES HOUSING DEPARTMENT. COPY OF NOTICE AVAILABLE UPON REQUEST. 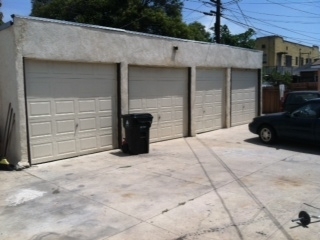 (4) 1 CAR GARAGES WITH ROLLUP DOORS. DO NOT DISTURB OCCUPANTS. PERSONAL PROPERTY NOT INCLUDED IN SALE. OWNER PASSED AWAY IN THE PROPERTY. INCOME: 123 E. 74TH STREET – $279 PER MONTH. MONTH TO MONTH. 123½ E. 74TH STREET – FAMILY MEMBERS. NO RENT OR LEASE. 125 E. 74TH STREET – FAMILY MEMBERS. NO RENT OR LEASE. LOT SIZE: 7,793± SQ. FT.